Johanien Schutte matriculated in 2008 at Richards Bay High School. After obtaining a LLB Law degree at the North West University , Potchefstroom Campus , Johanien worked for Bekker Brink & Brink Inc ,which forms part of the Phatshoane Henney Group , in their Conveyancing Department as candidate attorney and junior conveyancer. She soon realized that her love for property and property development over shadowed the day to day conveying of property . After completing her articles and admission as attorney Johanien joined Online Properties in Ermelo where she specialized in housing developments and rental risk management. Her legal background and NQF level 8 achievement has equipped Johanien to handle any obstacle and ensure a smooth sailing transaction for both buyer and seller. According to Johanien her most precious asset is the friendships she has built. Johanien promises to not only invest quality time in her clients but also promises to give them expert advise to ensure that her clients have maximum benefits and minimum risk on every transaction. Saal de Jager matriculated in 1970 at Parys High School.After obtaining a Bachelor of Science degree at the University of the North West, Saal worked for Anglo America in their coal division as Industrial Relations Manager. He soon realized his entrepreneurial side and started an estate agency in 1986 called "Saal de Jager Properties". He soon became well known as the specialist in the area and sold hundreds of properties over the years. His love for water sports was rewarded when he obtained his Springbok colours in canoeing. He specializes in river properties as these have become very familiar to him when paddling. According to Saal his most precious asset is his capable office personnel and his well qualified estate agents which is the reason for the prosperity of Harcourts Parys. He promises his sellers to get the best price in the shortest time and will spend quality time with his buyers to find them their dream property. Amanda was born and raised in and around Johannesburg and has two sons and a daughter. Her years of employment at NBS Home Loans provided a solid foundation and made her knowledgeable and well equipped for the Real Estate industry. Since her marraige to Saal de Jager in 1994 she has been actively involved in Real Estate, and passed the Board Exam in terms of the Estate Agent Affairs Act in 1997. She enrolled in Homenet Training Academy where she graduated and completed her RPL NQF4 qualification during 2009. During 2007 she received the Bond Choice star award as highest supporting agent in her region. Together with her 20 plus years experience in Real Estate and her passion for people and personal integrity she promises you ethical and professional service at all times. Amanda would love to assist you in finding your dream home. Bets has spent most of her working life in the finance department of a large East Rand manufacturing company. In 2004 she joined "The Agent" in Rustenburg where she started her career in real estate. 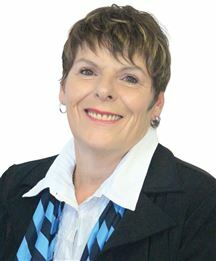 In 2005 she joined Remax in Parys. During 2006 she moved back to Rustenburg and started with Realty 1. She attained her CEA in 2007 and NQF4 during 2009. After relocation to Parys again she did a thorough investigation into the local real estate environment. The professional way in which Harcourts operate was the reason for her joining the team. She is a people person, enjoys dealing with clients and strives to fulfill their property needs. She is a committed agent and looks well after the interests of both buyers and sellers. Giovan Nortje matriculated in 2006 at Vaalrivier Learning Centre. After obtaining a diploma in Hotel Management at Halevy Heritage Hotel, Bloemfontein Campus, Giovan worked at Protea Kampala Uganda for 2 years. He soon realized that he has a love for travel & culture. His first big endeavour overseas was Thailand where he worked as a volunteer English teacher. His next endeavour took him to Vietnam where he taught English at an after-school centre for disadvantaged children. According to Giovan his most precious asset is the knowledge and experience he gained in these third world countries. Giovan promises to not only invest quality time in his clients but also to give them support every step of the way. Hilary has lived in Viljoenskroon in the Northern Free State for over 30 years. She joined the Real Estate business in April 2005 (after being a school teacher, tennis coach, house wife and then Hospice manager and trainer ) to commit to her love of people, property and her interest in life long learning . Integrity and empathy towards people plays an important role. She is a hard working, committed and self motivated person. In 2004 she passed the Estate Agents Board Exam and through attending various training courses graduated through the Homenet Academy in 2006. In March 2009 she remained at the leading edge of the Industry by becoming competent through the RPL ,a legally required qualification of the SETA for estate agents and received the NQF 4 qualification for Real Estate. Her husband Ken also has this qualification and because he has farmed for 40 years, his invaluable contribution in listing and selling farms ,has enabled them to make a great team.In December 2013 Hilary handed in a full portfolio and after an interview with the Estate Agency Affairs Board was granted an educational exemption in respect of the Further Education and Training Certificate :Real Estate and the Professional Designation Examination. Hilary's personal commission is to be honest, loyal and to go the extra mile in helping her clients achieve their dreams in this, their greatest asset - property. Hilary works in the Viljoenskroon, Vierfontein and Renovaal areas and has sold over 200 properties. I was born and raised in Parys and attended Barnard Molokoane Comprehesive school in Parys. After matriculating i realized my entrepreneurial intuition and further studied Entrepreneurship at the University of Johannesburg and currently studying Economic Management through UNISA. I'm a product of the Raymond Ackerman Scholarship Programme in 2013. My passion and curiosity for properties grew, which led me to join one of the best Real Estate Companies in Parys. My love for properties and people makes me the preferred consultant in your area and I aim to have satisfied clients who could at all times call on my service to help them with their properties. Experience, accuracy, skill, energy, motivation, service, results... At HarcourtsParys, we believe that the agent chosen for the marketing of your property, require all of these attributes to achieve success. So why choose me? My 5 years in Real Estate, coupled with my marketing experience and financial background and quality management ( ISO 9001:2008 ) has given me the interpersonal skills needed to effectively manage the whole process of ensuring a pleasurable experience while selling your most valuable possession… your home.My extensive knowledge of my focus area empowers me to achieve optimal prices and fast reliable sales of my mandates. Our company’s high standard of service excellence and ethics as well as my personal experience in formulating a plan to achieve the desired goal, is the difference between myself and any other agent operating in your area.. Expertise and qualifications • Area Speciallist in Beaumont, Oudewerf Parys • Fidelity fund Certificate • Achieved RPL NQF4 Quality Managment (ISO 9001:2008) I am passionate about property! Sakkie grew up in Parys and after school he soon realised that he had a love for sales. He joined Verimark and excelled as one of their top demonstrators in the country. He quickly worked himself up and became part of management. Longing back to the sales environment he qualified himself as an estate agent and in 2005 he resigned from his post as national exhibitions manager to enter the real estate industry. He gained ten years of experience across most fields related to the industry in Johannesburg. In 2014 he returned to Parys and when the opportunity presented itself to join the top agency in Parys he jumped at it. Marrying the skills he learned in the cut throat environment of Johannesburg with the values entrenched in him through his upbringing Sakkie has become a leader in the agricultural sales environment in Parys. Sakkie’s success is built on putting people first, doing the right thing and fun and laughter, values he lives by daily. Simon has been involved in the real estate industry since November 2007 when he successfully completed the EAAB examination whilst still employed in military police middle management of the National Defence Force. 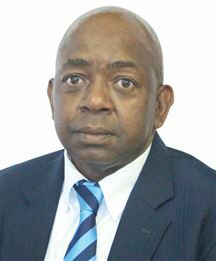 Upon leaving the SANDF during January 2008, he re-located to Parys, Free State and joined the local office of another major real estate franchise, before opening his own agency, and eventually moving to Harcourts Parys where he acts as a sales consultant for residential, commercial and rural properties, as well as the letting agent for residential rentals. He has recently completed his Further Education and Training Certificate in Real Estate having started this as an independent agent. He is a firm believer in the use of technology as a force multiplier; the use of the Internet as information conduit; and he continually promotes their use to his colleagues at all times. While he remains involved with the SANDF as a member of the Defence Reserves, he is happily married with three children. While his interests include military history, Land Rovers and computer technology, he is also involved with the Parys SPCA. Thelma spent a few years in an auditing department of Telkom The last 15 years she worked as receptionist at a busy optometrist practice in Kroonstad She started working at Harcourts Parys 1March 2017 She has a life long passion for the real estate industry and decided to join Harcourts because of the professional way they operate She is a people's person and will give what it takes to please the buyer as well as the seller. It is a privilege to introduce Rina to you as part of the Harcourts Parys team. She is a passionate outgoing person who loves her Creator, loves life and is a true people's person. She cannot survive without laughter! After completing matric Rina joined the South African Police during 1972 until her marriage in 1975. She is happily married to Johan, was privileged to be a homemaker and enjoyed raising her two kids. During 2004 Rina started working again when she joined Seeff Parys as an estate agent. In March 2004 she successfully passed her EAAB examination and joined Homenet Parys in January 2005. In 2007 she moved from estate agent to Personal Assistant and Office Administrator at Homenet Parys, but kept up to date, by completing her RPL NQF4 during 2009. She is very excited to be part of the Harcourts Team. Please feel free to call Rina at any time for professional, friendly advice and service. Here, it's "In" to be "Out"
Family Home Close to Schools.